Your phone overheats. But is it happening all by itself, or do you have apps running in the background that you don’t know about? Are you streaming a ton of video, or is the weather simply too hot? It’s difficult to pinpoint just why your smartphone overheats. Perhaps the device becomes sluggish when hot, or maybe it shuts down until it can cool. Either way, this has to stop. Let’s look at why your phone overheats and how you can fix it. Usually your phone overheating happens from a common cause. These include overuse, or remaining connected to a Bluetooth speaker for too long. Chances are that you might have closed a few apps or restarted your device in an attempt to troubleshoot. Maybe you’ve even Googled a few phrases based on error messages that you’ve seen. Your display brightness is too high. Your Wi-Fi has been connected for too long. You’ve been playing too many games (often with the additional “it’s not a game console” advice). By now, no smartphone on the market should overheat for any of these reasons. Let’s look at other causes. Is Your Phone Really That Hot? Before continuing, it’s worth taking the time to examine what is hot, and what is not. Your phone under normal use should not be hot. If it is, you have a problem. However, don’t interpret warm as hot. A slightly warmer feel after playing a game for 15 minutes is normal. But if your phone displays an overheating alert, or you find the device is surprisingly hot to the touch, then you should investigate. For example, I recently recorded a video using the front-facing camera, and found my phone soon overheating. This was such a problem to the safe running of the phone that it displayed a warning notice. In this scenario, my phone was in its flip-cover fake leather case, which features a basic friction stand. The phone was also situated in direct sunlight, although the case shielded it a bit. While I was using the highest quality settings on the camera, and the video lasted around 20 minutes, it was nevertheless a surprise to receive a warning that the phone would shut down due to overheating. So while connectivity options, high display brightness, and regular gaming can impact your phone’s temperature, where it is situated and your camera settings can also play a part. Malware on your Android device could cause excessive heat. After all, the developers of the malware aren’t exactly interested in the health of your device; they just want your data. Has Your Android Phone Been Infected with Malware? , you’re unlikely to have picked anything nasty up. Is Your Case Heating Up Your Phone? Your case is a common heat factor that many smartphone owners overlook. Many cases are constructed from plastic or have a large amount of plastic. Even those made with leather have the same problem: the phone is insulated, keeping heat in and cold out. For safety reasons, as the phone gets warm (particularly during high-performance tasks), it needs to radiate the heat away, and the presence of a case made from an insulated material prevents this. It’s like exercising in a duffel coat. Your options here aren’t great, however. Removing your phone from the case is a good start, but if you’re uncomfortable with this (perhaps taking extra care to maintain its resell value), then it is not a viable long-term option. Another aspect to consider is the state of your battery and the chraging cable. Software and apps can only go so far — what about how to charge and discharge your battery? Learn all the tricks here. If you’re just getting started on Android and you’re not sure why your battery life is so bad, these tips can help you out. Phones should not get hot enough to cause problems when charging. If this occurs, the reason could be a damaged battery, a poor-quality charging cable, or a problem with the port. First try replacing the cable. If this doesn’t help, it’s time think about replacing the battery. If this isn’t possible (an increasing trend for unibody phones) consider contacting your phone manufacturer about a replacement. Does Wi-Fi Overheat Your Phone? Well, no. But your smartphone could overheat due to overuse of Wi-Fi. Android users are susceptible to apps running in the background and drawing on resources, such as CPU, Wi-Fi, or mobile internet. 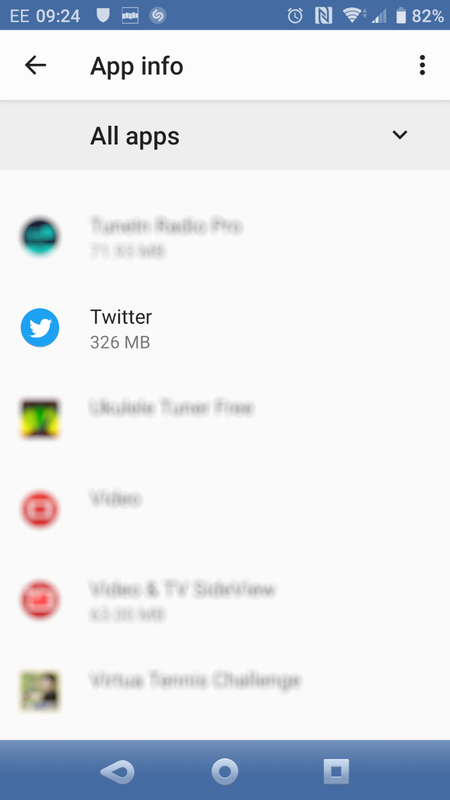 If apps run in this way, your device can heat up. On older versions of Android, the Greenify app enables you to identify resource leeches and put the misbehaving apps into hibernation. However, similar functionality is now included in Android thanks to its battery optimization features. 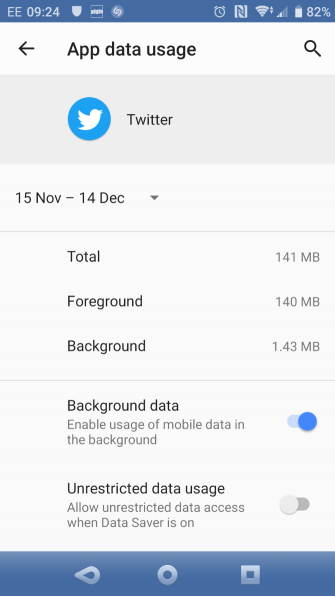 You can also shut off background mobile data use. Open Settings > Apps & notifications > All apps and select the app you want. 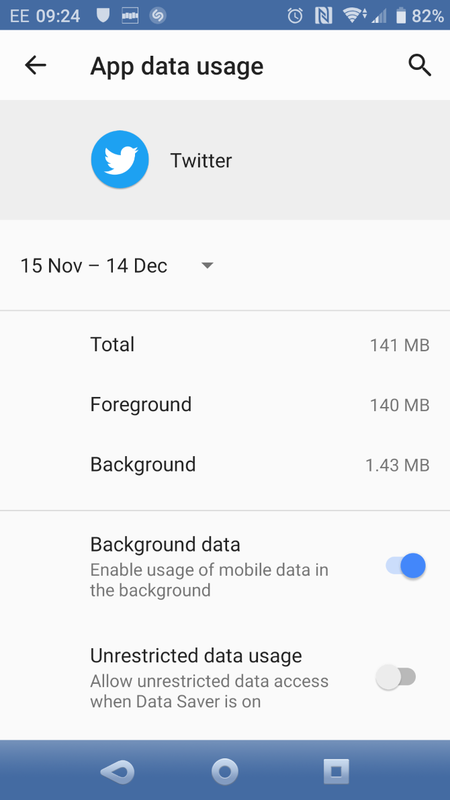 Tap Data usage to see its activity and toggle the Background data switch off to disable internet access. You can also use the Force Stop button to close the app immediately. While this puts background functionality out of service, you can be confident that it also means reduced resource use. This can help to keep your smartphone from overheating. Not only should your phone stop overheating again, but the battery should last longer! If your Android phone won’t turn on, don’t despair. Follow these tips and you just might get your Android device back in action. Explore more about: Android Tips, Hardware Tips, Overheating, Troubleshooting.